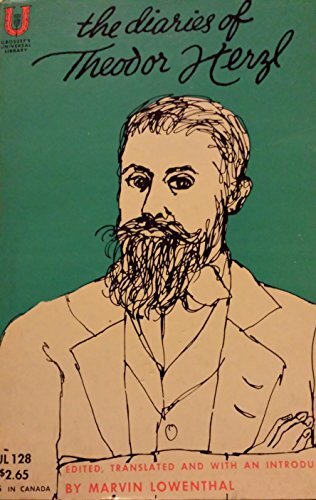 Theodore Herzl (1860-1904) was not the first person to develop the idea of Zionism, but he was the one who organized, launched, and led the Zionist Movement beginning in 1897. A secular Hungarian Jewish journalist and playwright, he was present at the trial of Alfred Dreyfus, from which he became committed to the idea of Zionism as a solution for the challenges facing European Jewry. He wrote two books envisioning the future Jewish homeland: Der Judenstaat (The Jewish State) and Altneuland (The Old New Land). He envisioned a homeland based on Western humanistic principles around equal and civil rights, the absence of racism, and a full program of economic prosperity, although not necessarily a democracy. He believed that the Jewish homeland would accrue such benefit to the region that the Arabs would happily accept a Jewish state in Palestine. 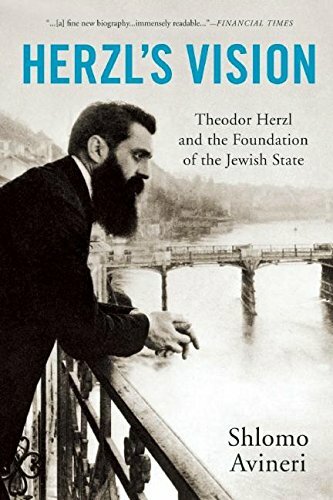 He advocated a program of Political Zionism in which the Jews gained international recognition and support for the creation of a Jewish state in Palestine; that is, more than simply a homeland or cultural space. He kicked off the movement at the First Zionist Congress in Basel, Switzerland, in 1897, writing in his diary that evening that, “If I were to sum up the Basel Congress in a single phrase — which I would not dare to make public — I would say: in Basel I created the Jewish State.” He traveled around Europe to drum up support for the Zionist Movement and visited Palestine just once, in 1898. He died in 1904 but stipulated in his will that his body be brought to the Jewish State upon its future creation. He was buried in Jerusalem in 1949, a year after Israel’s creation.